The status of Rolex and the unique identity of the brand are products of a history driven by a passion for innovation and a constant quest for excellence. A fascinating succession of pioneering achievements encompassing a watchmaking, industrial and human adventure, this story is interwoven with the history of the Oyster, the first waterproof wristwatch. Since its launch in 1926, the Oyster has become the pillar of a collection of legendary watches, among the most recognized and most recognizable in the world. The success of Rolex is inextricably linked to the extraordinary spirit of enterprise of its founder, Hans Wilsdorf (1881-1960). Through his visionary genius and uncommon capacity to embrace all fields of the company's activities - technology, communication, organization and distribution - as head of Rolex for more than 50 years, he set the fundamental course for an adventure which has given birth to exceptional watches and an unparalleled brand. At the dawn of the 21st century, his personality and his work continue to inspire the company and permeate its corporate culture. Hans Wilsdorf's influence is also evident in the aesthetics and intrinsic characteristics of a product that has remained faithful to the original as well as in Rolex's capacity to draw on its prodigious heritage to continuously advance towards new horizons. 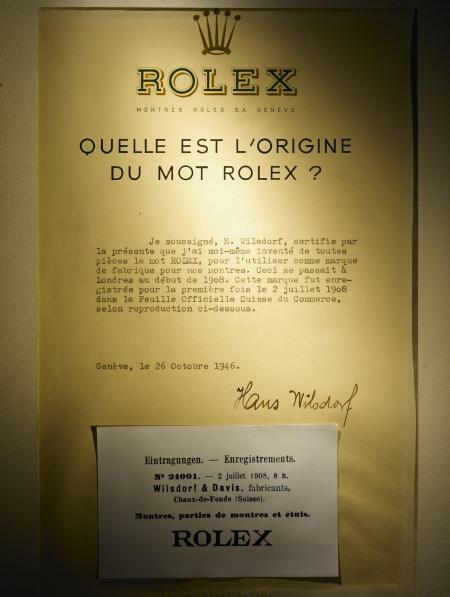 The Rolex adventure began in the early 1900s. 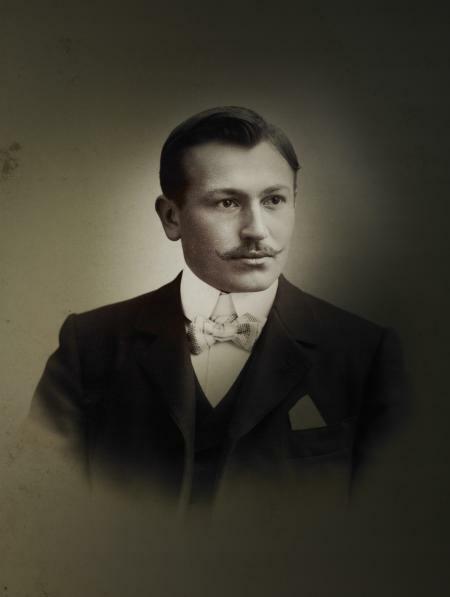 Born in Bavaria, Germany, Hans Wilsdorf began his career in watchmaking in La Chaux-de-Fonds, Switzerland. In an era when pocket watches were the order of the day, he quickly grasped the potential of wristwatches for the 20th century, although at the time they were not very precise and mainly considered to be jewellery items of particular appeal to women. Hans Wilsdorf foresaw that the wristwatch by its very nature was destined to become an everyday necessity - for men as well as for women - provided that it could be a precise, waterproof, robust and reliable instrument. His stroke of genius was to anticipate this reality, now taken for granted, and to contribute to making the wristwatch the indispensable object it has become. Later, when living in London - then the economic and financial capital of the world - Hans Wilsdorf founded with his partner in 1905 the firm Wilsdorf & Davis specializing in the distribution of wristwatches in Great Britain and the British Empire. The watch components were produced for him by Swiss partners selected for their expertise. 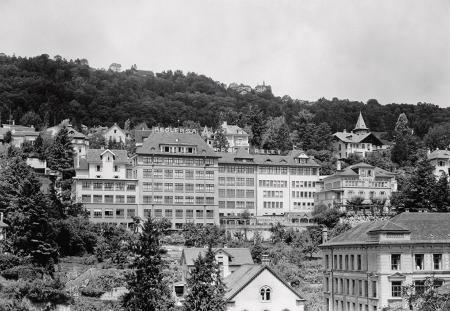 Among them was the Maison Aegler in Bienne, which would eventually become the Manufacture des Montres Rolex SA. In his opinion, it was the only manufacturer at the time able to produce the small, precise movements he needed for his wristwatches. Observing the remarkable rise in leisure time and the practice of sports, Hans Wilsdorf wanted to prove to a still sceptical public that wristwatches and chronometric precision were compatible. His quest was soon crowned with resounding success. 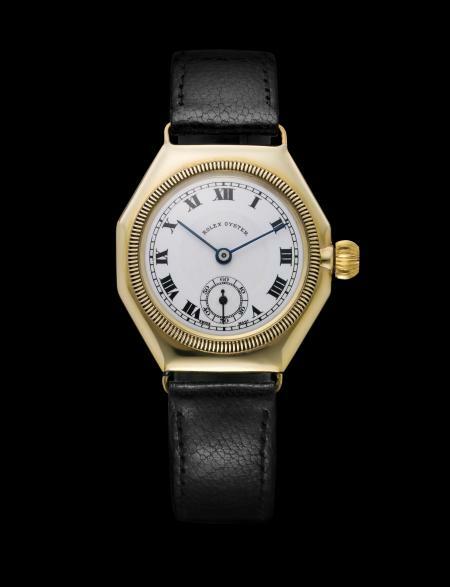 In 1910, a Rolex wristwatch obtained the first certificate in the world granted to such a watch by the Official Watch Rating Centre in Bienne, Switzerland. Four years later, in 1914, a similar model received from the prestigious Kew Observatory in England the first "Class A" certificate accorded to a wristwatch, a distinction until then reserved to marine chronometers. This was proof that wristwatches and chronometric precision could go hand in hand. The next challenge was waterproofness. The precision of the wristwatch would be seriously compromised if its case did not keep out water and dust. Hans Wilsdorf would once again draw on his spirit of enterprise and his energy to make the wristwatch waterproof. 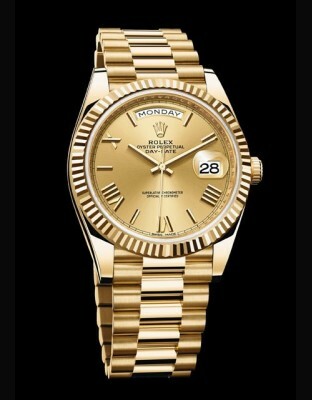 THE INVENTION OF THE NAME "ROLEX"
- possible to inscribe elegantly on the dial and movement of a watch. Hans Wilsdorf left England in 1919 to settle in Geneva, Switzerland, where he founded the company Montres Rolex SA in 1920. This choice brought him closer to his supplier in Bienne and allowed him to optimize their collaboration. The international reputation of Geneva, which itself boasted a venerable watchmaking tradition, also played an important role in his decision. In 1926, Hans Wilsdorf's efforts on waterproofness proved successful with the invention of the Rolex Oyster, the first waterproof wristwatch in the world, thanks to a case equipped with an ingenious patented system consisting of a screw-down bezel, case back and winding crown. Hermetically sealed, it offered optimal protection for the movement. The fluting of the bezel, like that of the case back, served a functional purpose. 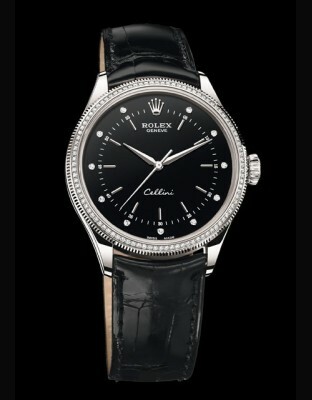 It was used to screw the bezel and case back onto the middle case with a specific tool invented by Rolex. It also gave the watch its visual identity and unique personality. Today, the Oyster's bezel is no longer screwed down onto the case. 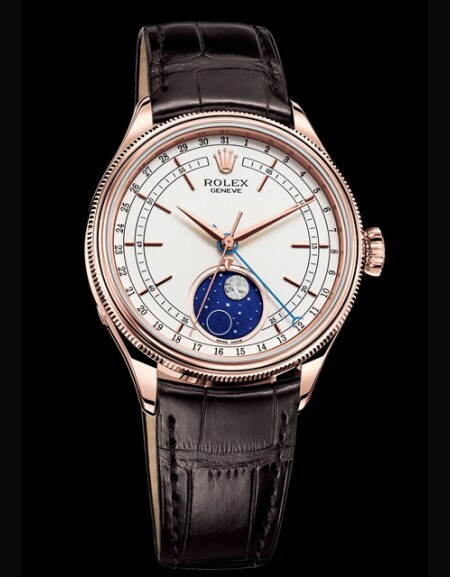 Nonetheless, the bezels on several models still feature the characteristic fluting, echoing the original 1926 model. 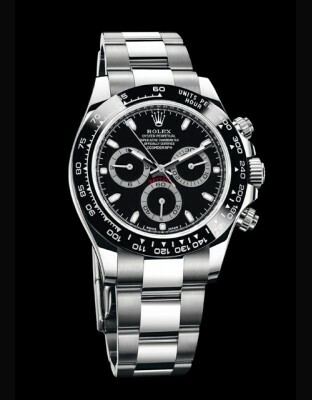 Thanks to the Oyster and its totally innovative waterproof case, Rolex immediately entered watchmaking history. In addition to the know-how Hans Wilsdorf so aptly demonstrated, his keen sense of communication gave Rolex an admirable head start. In 1927, Wilsdorf showed his creative genius for communication in spectacular fashion. He decided to test the Oyster by subjecting it to an ordeal that would prove its merits. And make Rolex know-how widely known. That year, equipped with an Oyster, a young Englishwoman, Mercedes Gleitze, swam across the English Channel. After more than 10 hours, the watch emerged from the water in perfect working order. 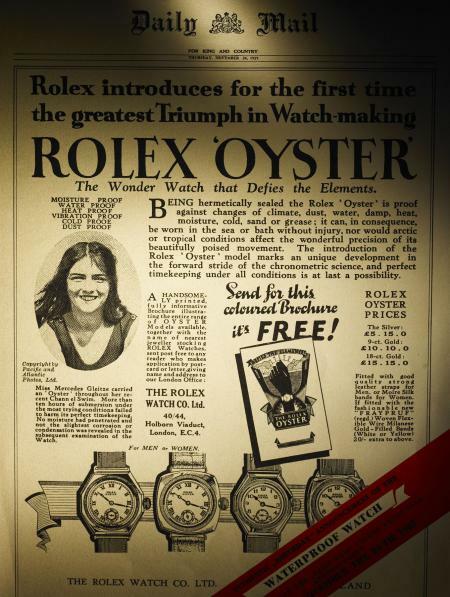 To celebrate the feat, Hans Wilsdorf published a full-page advertisement on the front page of the Daily Mail proclaiming the success of the waterproof watch and announcing "the triumphant march of the Rolex Oyster around the world". This event marked the birth of the Testimonee concept and the beginning of a long and fruitful association between Rolex and exceptional personalities, whose accomplishments bear witness to the excellence of Rolex watches. These privileged ties would develop in fields as varied as exploration, sports and culture. They are based on a strong relationship of trust between the brand and its Testimonees. After chronometric precision and waterproofness, Hans Wilsdorf sought to complete the third part of the Oyster triptych, the self-winding mechanism. As long as a wristwatch had to be wound by hand daily, its crown had to be unscrewed, compromising its waterproofness and therefore its precision. In 1931, Rolex invented the first wristwatch self-winding system with a free rotor, called the Perpetual rotor, the precursor of contemporary self-winding systems. This innovation consists of a weight oscillating freely in both directions on a central axle. Thanks to wrist movements alone, the watch is constantly being wound. The Perpetual rotor made manual winding a thing of the past, freeing the wearer from a major constraint. Two other fundamental elements of the Rolex identity emerged in the 1930s. 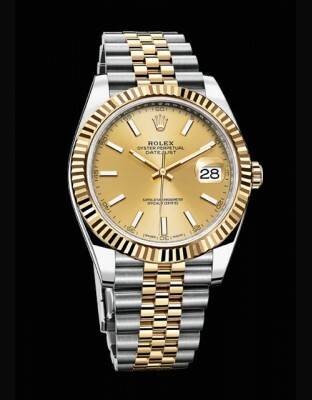 The Rolex crown, the logo and symbol par excellence of the brand, was registered in 1931. 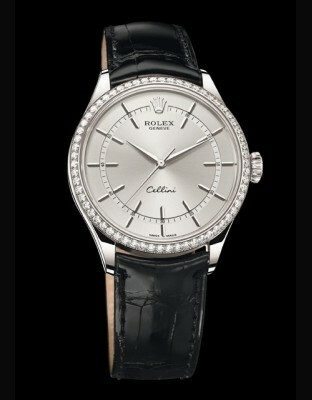 It appeared for the first time on Rolex dials during the 1930s, then on the winding crown in the early 1950s. At this same period, it began to replace the 12 o'clock hour marker on the dials. 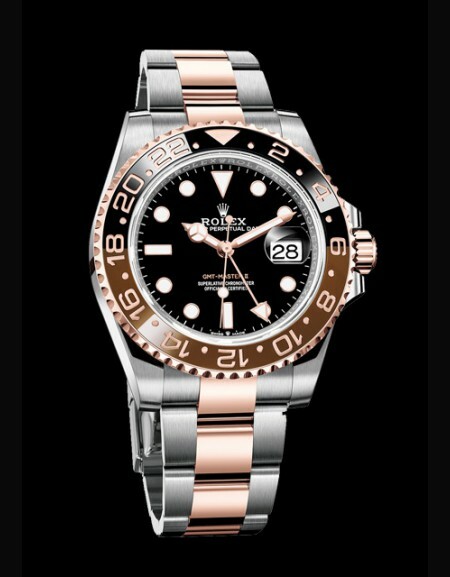 In 1933 the name Rolesor was trademarked to designate the marriage of two different materials, gold and steel, on Rolex watches. 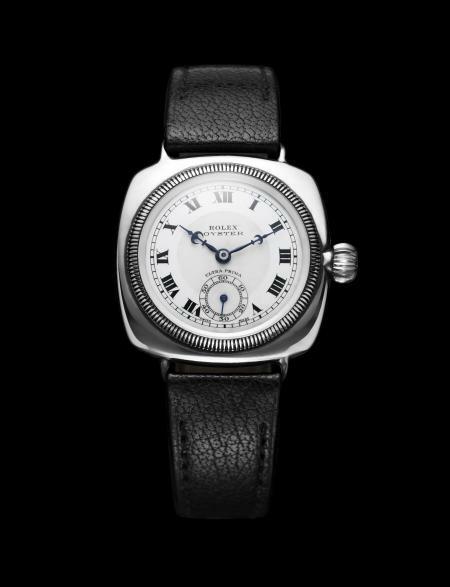 This combination, which was first used by Rolex in the 1920s, has since become a distinctive aesthetic code of the brand. In the 1940s and 1950s, Rolex launched watches of great prestige that would be worn by influential people and would very rapidly become timeless classics of the Oyster collection. The year 1945 saw the birth of the Oyster Perpetual Datejust, the first self-winding wrist chronometer to indicate the date in a window on the dial. A watch of great distinction, the Datejust was equipped with a Jubilee bracelet created specially for it and, with its fluted bezel, was immediately recognizable as an Oyster. It is the pillar of the Oyster collection. Initially for men, it became available in various models for women in the course of the following decade. 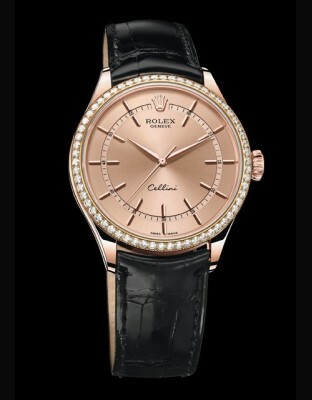 In 1956 the Oyster Perpetual Day-Date made its debut. 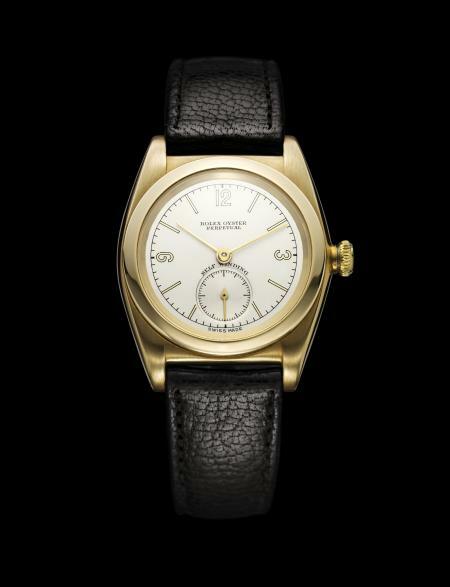 It was the first wristwatch to display the date and day of the week spelt out in full in a window on the dial. 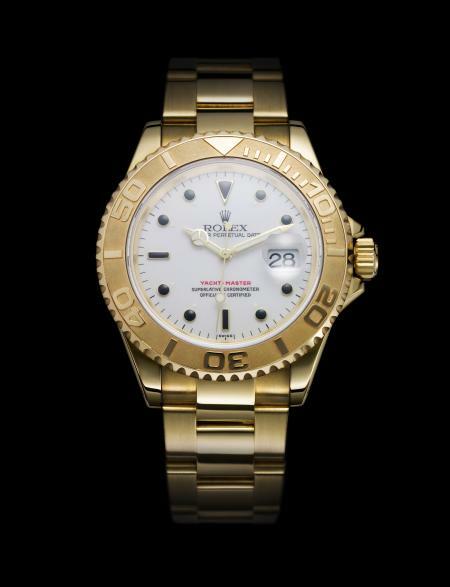 Available only in platinum or in 18 ct gold, it has featured since its birth a crystal with a Cyclops lens that facilitates reading the date by enlarging it two and a half times. 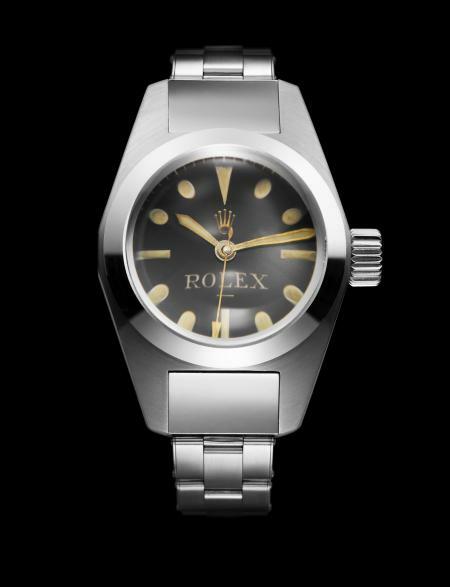 This innovation, another Rolex mark of distinction, was later extended to all models in the Oyster collection displaying the date. With the President bracelet, originally created specially for it, the Day-Date continues to be the watch par excellence of influential people. As of 1926 and the invention of the Oyster, the world became for Rolex a proving ground to validate under real-life conditions the intrinsic qualities of its watches. Wherever extreme conditions prevail, on the seas or in the depths of the oceans, on the highest mountain tops or in polar regions, Rolex continuously tests the precision, waterproofness, robustness and reliability of its timepieces. Speed is another validation challenge for the brand. In 1935, at the wheel of his specially built record-breaking car Bluebird, an Oyster on his wrist, Sir Malcolm Campbell became the first man to reach the mythical speed of 300 mph (approximately 480 km/h). In 1947, also wearing an Oyster, American pilot Chuck Yeager became the first to break the sound barrier at the controls of his rocket-powered aircraft. In both cases, the watch was subjected to extremely fast acceleration and strong vibrations without suffering any negative effects. From the 1930s, the Oyster was worn on numerous Himalayan expeditions, one of which has entered into the annals of history. In 1953, Sir Edmund Hillary and Tenzing Norgay, members of a British expedition led by Sir John Hunt, were the first to reach the summit of Everest. They joined the list of extraordinary men and women who, by their perseverance and will to achieve, demonstrate qualities that are highly valued by Rolex. 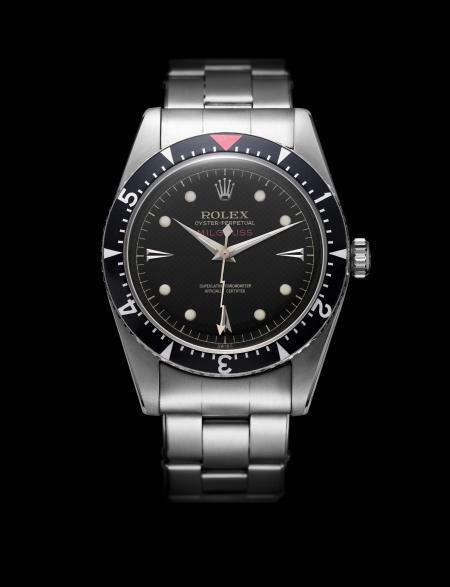 Within the context of this close relationship with the world about us and the emergence of new areas of endeavour such as civil aviation and underwater exploration, in the 1950s Rolex developed the concept of tool-watches called "Professional watches" whose functions went beyond just telling time. The series began in 1953 with the Oyster Perpetual Explorer, a direct descendant of the conquest of Everest, and the Oyster Perpetual Submariner divers' watch, equipped with a rotatable graduated bezel to display immersion time and guaranteed waterproof to a depth of 100 metres (330 feet), then 200 metres (660 feet) later that year. In 1955, the Oyster Perpetual GMT-Master was launched in response to the specific needs of airline pilots for an instrument capable of displaying the time in different places on the planet, thanks to the additional 24-hour hand and the rotatable 24-hour graduated bezel. It became the official watch of several airlines, among them the famous Pan American World Airways, better known as Pan Am. 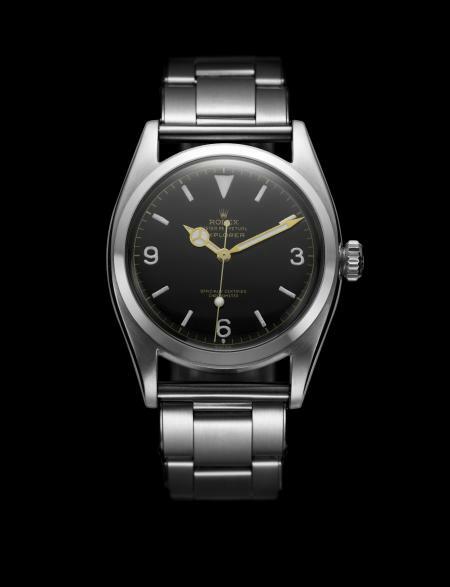 In 1956 Rolex presented the Oyster Perpetual Milgauss, designed to resist magnetic fields. This model was worn by scientists at the European Organization for Nuclear Research (CERN) in Geneva. 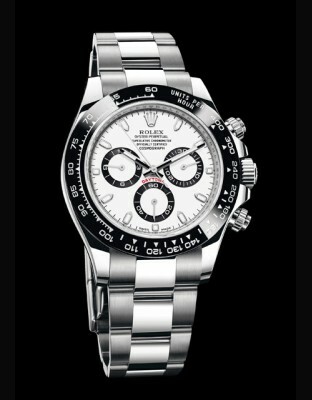 In 1963, Rolex introduced the Cosmograph Daytona, a chronograph that can measure time intervals and allows the calculation of average speeds thanks to its tachymetric graduated bezel. 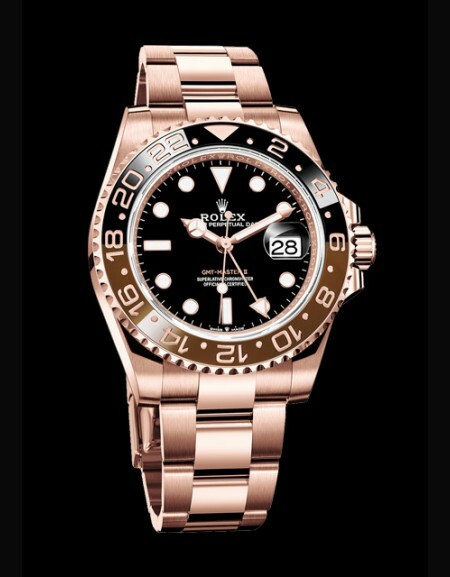 Rolex watches continue to be associated with major exploits. In 1960, in the Pacific Ocean south-west of Guam, the bathyscaphe Trieste, piloted by Swiss oceanographer Jacques Piccard and the then Lieutenant Don Walsh, reached the deepest point of the oceans in the Mariana Trench, a record depth of 10,916 metres. Attached to its hull, an experimental Oyster, the Deep Sea Special, withstood without damage the colossal pressure of more than one tonne per square centimetre and returned to the surface in perfect working order. 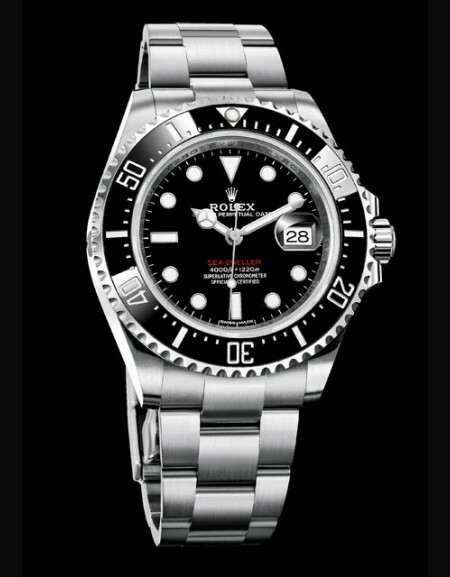 In 1967 the brand introduced the Oyster Perpetual Sea-Dweller, waterproof to a depth of 610 metres. 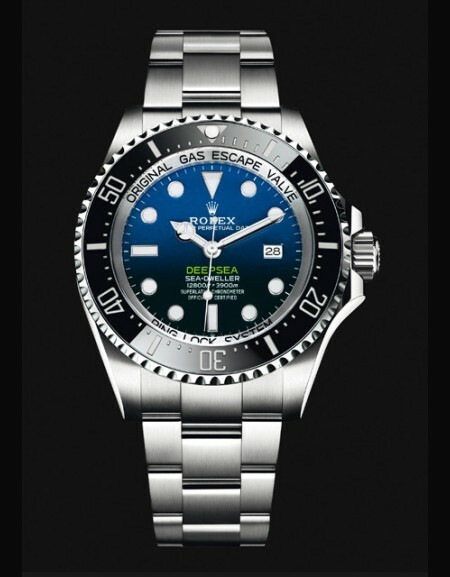 To meet the needs of professional deep-sea divers, the case was equipped with a helium escape valve so that, during long decompression phases in hyperbaric chambers, the helium from the gas mixtures used could be released without risking damage to the watch. The year 1960 was marked by the death of Hans Wilsdorf. He left a considerable legacy and had the genius to ensure the lasting success of his accomplishments. In 1945, he created in Geneva the Hans Wilsdorf Foundation, which became the owner of the company. Rolex can therefore pursue its expansion and perpetuate its founder's visionary spirit of enterprise with total independence. André J. Heiniger, who succeeded Hans Wilsdorf in 1963, took over the reins of Rolex, continuing his legacy. With the benefit of vast experience in the field, this true commercial strategist accelerated business development and reinforced the presence of Rolex worldwide. He transformed it into a universal watch brand, one of the most prestigious in the world. A man of conviction, he had the same sense of foresight as his predecessor. With the arrival of quartz in the late 1960s, Rolex participated actively in the development of the first Swiss quartz movement, the Beta 21. 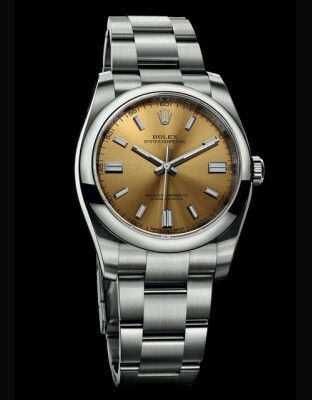 In 1977, it launched the Oysterquartz model equipped with a 100 per cent Rolex movement. But the company dismissed the promise of this new technology and made the strategic choice to remain faithful to the self-winding watch and continue to focus on its domain of excellence. 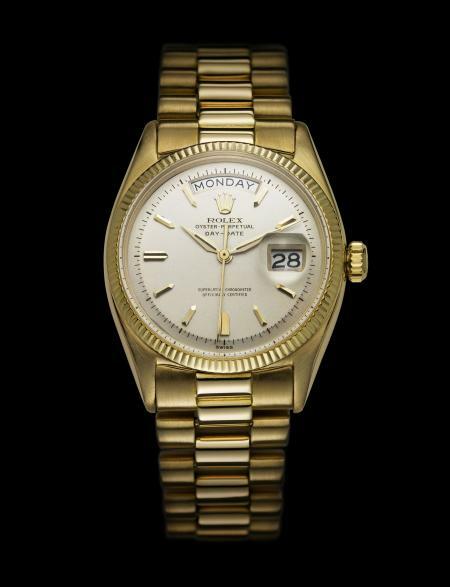 The 1970s and 1980s saw the dawn of a second generation of Professional watches. In 1971, Rolex presented the Oyster Perpetual Explorer II, dedicated to polar explorers and to speleologists, allowing them to distinguish day from night thanks to its additional 24-hour hand and its fixed 24-hour graduated bezel. 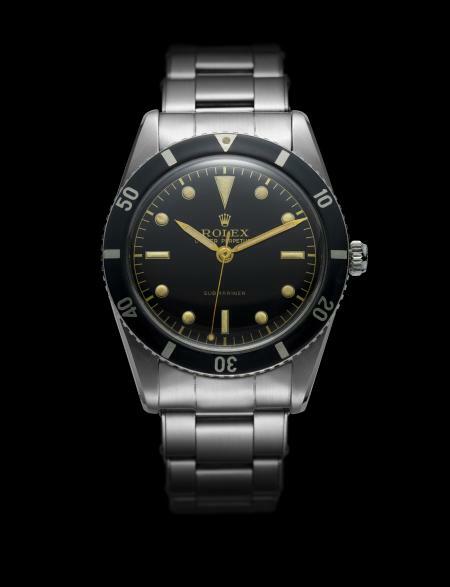 In 1978 came the new Sea-Dweller, the Sea-Dweller 4000, waterproof to a depth of 1,220 metres (4,000 feet). 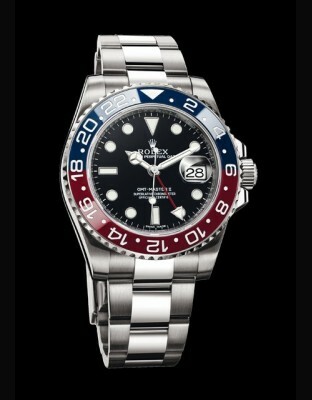 And, in 1982 the GMT-Master II was born. Under the leadership of André J. Heiniger, who was deeply committed to expanding the horizons of the brand, the 1960s and 1970s gave rise to pioneering partnerships between Rolex and institutions, exceptional sports personalities, as well as world-famous artists. These privileged ties contributed to the emergence of cultural and sports sponsorship. 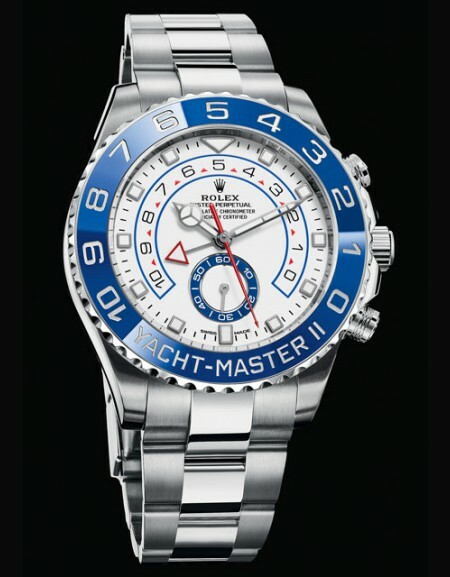 Rolex also innovated in the field of philanthropy. 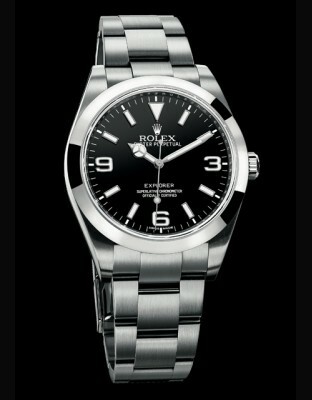 In 1976, to celebrate the 50th anniversary of the Oyster, André J. Heiniger created the Rolex Awards for Enterprise. These prizes provide financial support to men and women who seek new ways to increase knowledge of our world and improve the quality of life on our planet. These years of expansion gave Rolex the recognition and prosperity that would allow the company to proceed in the 1990s to a new stage in its history, more than ever inspired by the spirit of enterprise, innovation and excellence. The year 1992 heralded the arrival of the Oyster Perpetual Yacht-Master, the first watch in the Professional Oyster collection to be available in three sizes - 29, 35 and 40 mm. 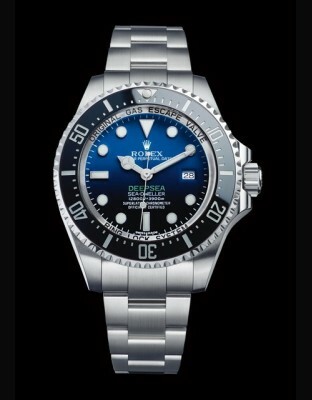 This new member of the Oyster family reinforced the ties between Rolex and the sailing world. The Oyster Perpetual Lady-Datejust Pearlmaster, a new series of watches designed specifically for women, also joined the Oyster collection. That same year, Patrick Heiniger succeeded his father at the head of Rolex and soon made his mark on the destiny of the company. 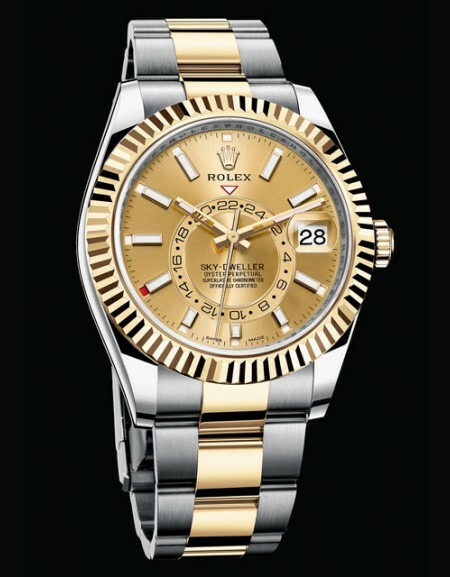 In the mid-1990s, under his guidance, Rolex radically changed its structure and made the strategic choice of vertical integration, purchasing its principal suppliers in order to maintain its unique pioneering status in the world of watchmaking. 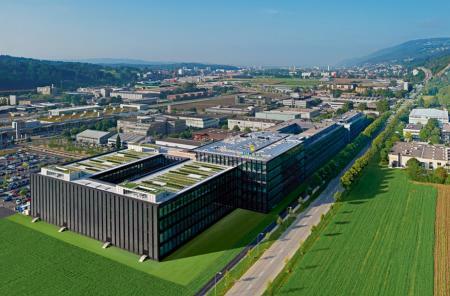 This step was accompanied by a decision to group all of its activities in Geneva and Bienne on four industrial sites specifically built or remodelled for the purpose. Impressive in size, these sites are veritable technological and avant-garde gems. Rolex thus ensured control over the production of all the main components of its watches - movement, case, bracelet and dials - while at the same time giving itself the means to take its passion for quality even further, thanks to exclusive equipment. Independent and vertically integrated, Rolex was equipped with unrivalled industrial facilities in which watchmakers, engineers and other specialists could work in close collaboration on the design and manufacture of the watches. The brand thus gave a new spark to its innovative potential and its unlimited creative freedom. Within this context, the company also decided to install a foundry in which it could create its own gold alloys. From the early 2000s, this spectacular reorganization of the production facilities propelled the Oyster watches into a new era. Combining more than ever traditional watchmaking expertise and high technology, a new series of innovations came into being in the fields of concepts for watch architecture as well as materials and manufacturing processes. 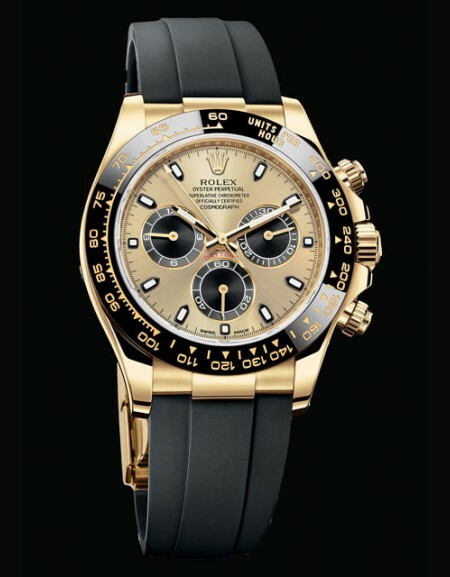 In 2000, Rolex launched a new Oyster Perpetual Cosmograph Daytona, a true distillation of Rolex know-how. The model is equipped with a new chronograph movement entirely developed and made by Rolex and a Parachrom hairspring patented and manufactured by Rolex. This composite of niobium, zirconium and oxygen has the advantage of being 10 times more resistant to shocks than traditional hairsprings and is insensitive to magnetic fields. The Parachrom hairspring will be progressively introduced in the entire Oyster collection. 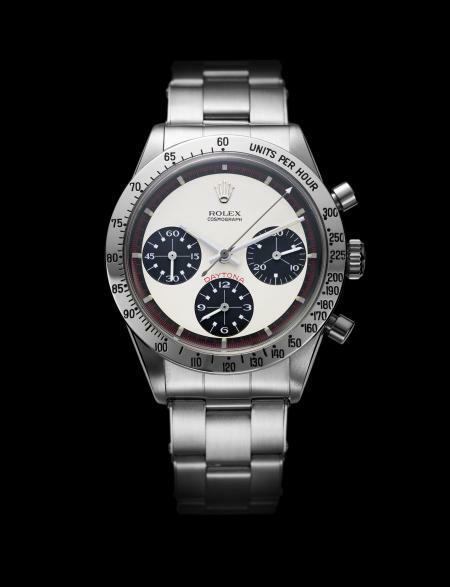 The bracelet of this new-generation Daytona was equipped with the new Easylink rapid extension system. Consisting of additional links discreetly housed under the clasp, this ingenious mechanism offers the wearer improved comfort. 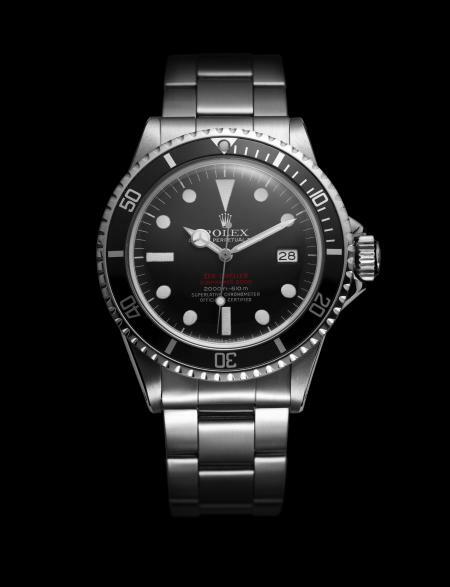 It would later be extended to other models in the Oyster collection. 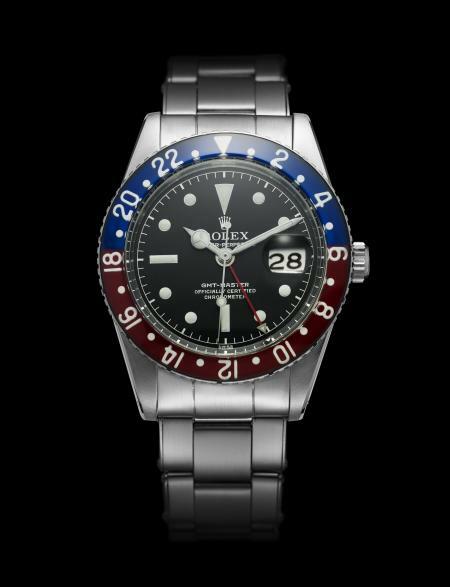 In 2005, Rolex launched a subtly redesigned Oyster Perpetual GMT-Master II. Also equipped with a Parachrom hairspring, it boasted a new bezel with a black Cerachrom insert, another innovation of the 2000s patented by Rolex. Entirely developed and manufactured in-house, the extremely hard ceramic of the Cerachrom insert has the advantage of being corrosion resistant and virtually scratchproof. It also retains its colour even when exposed to ultraviolet rays. 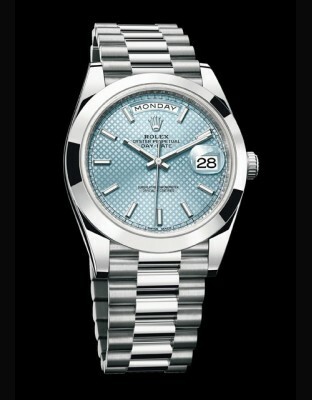 In 2007, the Oyster Perpetual Milgauss was relaunched. 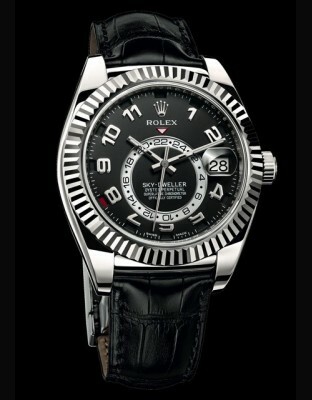 Designed to resist magnetic fields, it is equipped with a Rolex movement protected by a magnetic shield. In addition to the Parachrom hairspring, this new movement includes a non-magnetic escape wheel made of a nickel-phosphorus alloy, thanks to a revolutionary technique mastered by Rolex to make microcomponents, UV-LiGA (Ultra-Violet Lithographie Galvano-Abformung, i.e. micromanufacture by electroforming). Rolex also innovated in terms of watch functions. Presented the same year, the Oyster Perpetual Yacht-Master II regatta chronograph was the first watch in the world equipped with a programmable countdown with a mechanical memory. This unique watchmaking complication consists of an innovative system of interaction between the movement and the case thanks to a rotatable Ring Command bezel designed and developed by Rolex. 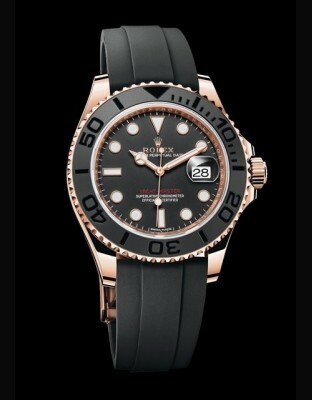 The launch, in 2008, of the Oyster Perpetual Rolex Deepsea, water-proof to the extreme depth of 3,900 metres (12,800 feet), illustrates Rolex supremacy in waterproofness, which is ensured thanks to a new case architecture developed by Rolex, the Ringlock System. A ring placed inside the middle case of the watch bears the pressure exerted on the crystal and the case back. A new-generation divers' watch, the Rolex Deepsea is also equipped with a bracelet with a Glidelock clasp, a patented system for adjusting the bracelet length in small increments that allows the watch to be worn over a diving suit. 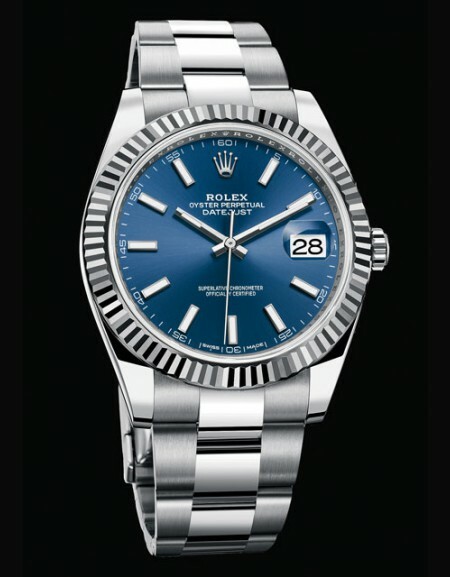 The years 2008 and 2009 were also marked by the reaffirmation of two leading models in the Oyster collection, the Day-Date II and the Datejust II in larger 41 mm diameters, both endowed with a new movement entirely manufactured by Rolex. 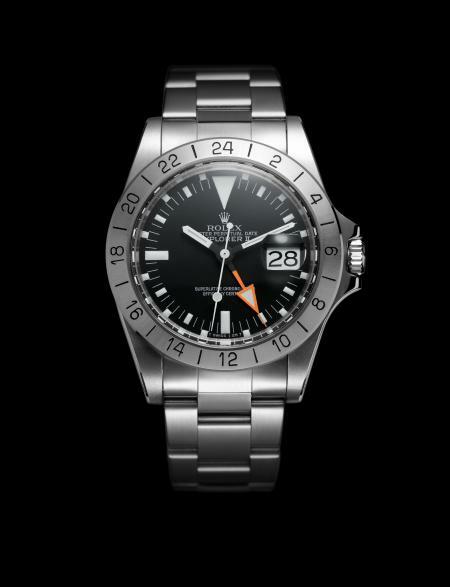 In the same spirit of innovation, while respecting the continuity of the brand's fundamental principles, the new Explorer and Explorer II were also presented in 2010 and 2011 in larger diameters, increased to 39 and 42 mm respectively. They too were equipped with new Rolex movements. 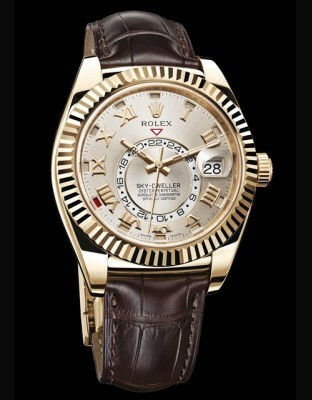 In 2012, Rolex presented a brand new particularly innovative model, the Oyster Perpetual Sky-Dweller. A technological masterpiece protected by 14 patents, this watch with a classic appearance is intended for world travellers. In an impressive 42 mm case, it offers a dual time zone as intuitive to read as it is easy to use, as well as a particularly innovative annual calendar named Saros - in tribute to the astronomical phenomenon which inspired it - that requires only one date adjustment a year. To set its functions quickly and easily, it is also equipped with a new patented interface: the rotatable Ring Command bezel. With this new model combining useful functions, ease of use, prestige and elegance, Rolex once again proves its outstanding ingeniousness and industrial capacity to design and manufacture a watch that perpetuates the excellence of the Oyster. The first decade of the 21st century was also marked by a creative proliferation on the theme of femininity. 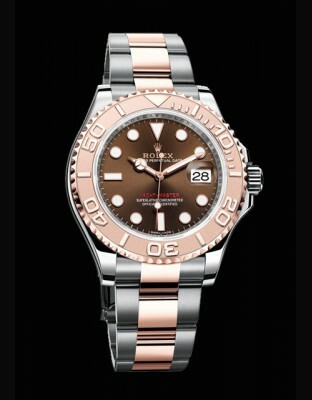 Since the beginning, Rolex has always offered a vast choice of watches for women. Gem set or not, available in various sizes and adorned with dials bearing motifs and colours full of grace and vitality, new feminine Datejust models were unveiled over the years, enhancing the aesthetic refinement of the Oyster. 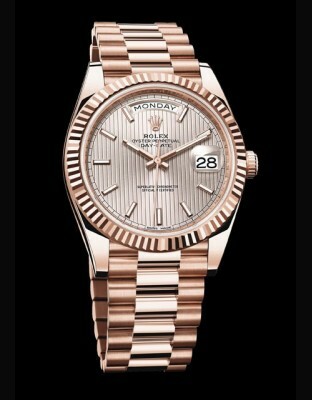 The new Lady-Datejust Pearlmaster and the Datejust Special Edition are perfect examples in this vein. 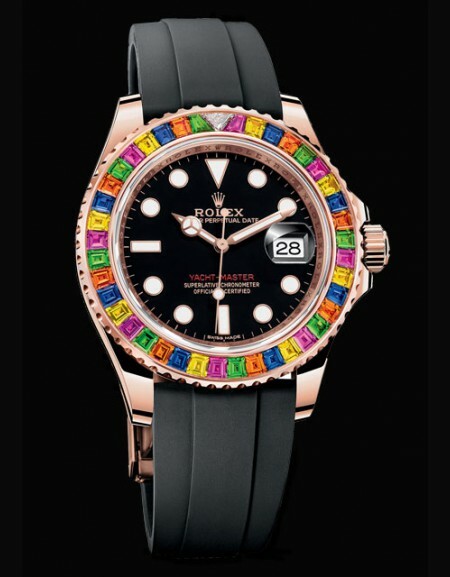 With Goldust Dream, Gold Crystals or floral motif dials developed by Rolex, this mosaic of different models illustrates striking creative mastery and technique, without sacrificing any of the precision, waterproofness, robustness and reliability proper to every Oyster. All these new Oyster models are the exemplary product of a completely integrated and independent watchmaking company, built on uncompromising values, with unequalled means to perpetuate its passion for perfection. Rolex's commitment to philanthropy has never been neglected. In 2002 a new and original programme was born. At the behest of Patrick Heiniger, the brand created the Rolex Mentor and Protégé Arts Initiative to help promising young artists realize their full potential under the guidance of a renowned master in their discipline. This programme illustrates the philanthropic tradition of Rolex, which is expressed through the activities of the Rolex Institute. In 2009, after the departure of Patrick Heiniger, Bruno Meier led the company through a transition period, while securing the Group's status. In 2011, the company decided to update its structures to take into account the development of its industrial and commercial activities in Switzerland and abroad. Gian Riccardo Marini, Managing Director of Rolex Italy since 2000, took the reins of Rolex SA. A connoisseur of the brand and its products, benefitting from some 40 years' experience with the Group, he is responsible for meeting the constant challenges faced by Rolex. With his arrival at the helm, Rolex is forging ahead with a continuity that respects the brand's unchanging values and its image of excellence and prestige. 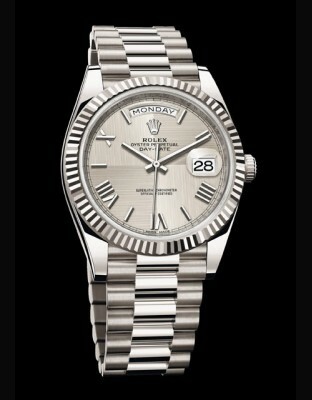 The adventure of Rolex and the Oyster is an unending story combining tradition, prestige and technology. A prodigious epic of beauty, excellence and ingenuity, punctuated with innovations. An epic adventure in which passion is accompanied by the tireless pursuit of perfection. 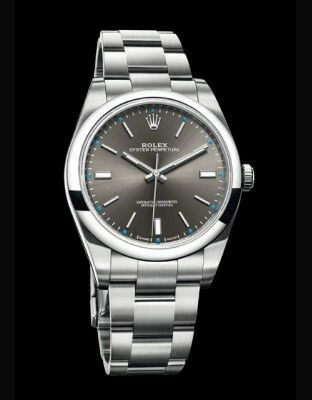 Thus Rolex and the Oyster continue to write some of the most fascinating chapters in the history of watchmaking.